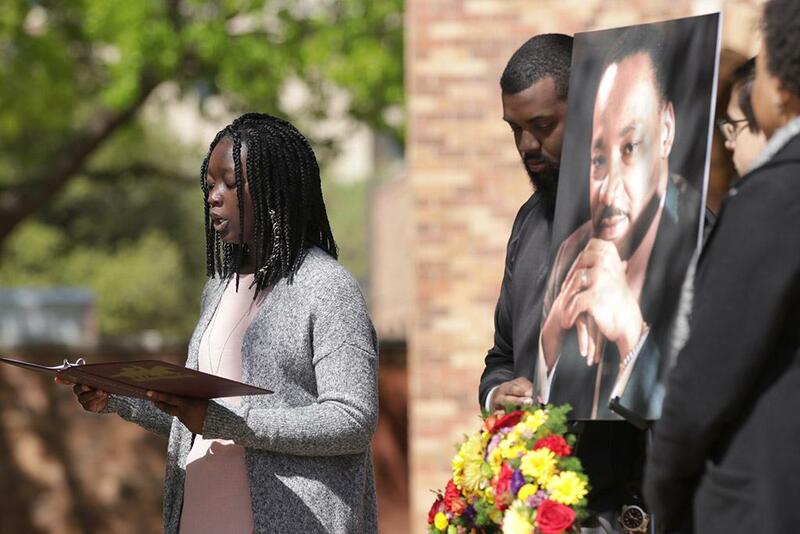 Campus officials and students commemorated the 50th anniversary of the assassination of Martin Luther King, Jr. by laying a wreath around the memorial plaque on campus just outside Clark Student Center on April 4 at 11:30 p.m. where 28 people attended. 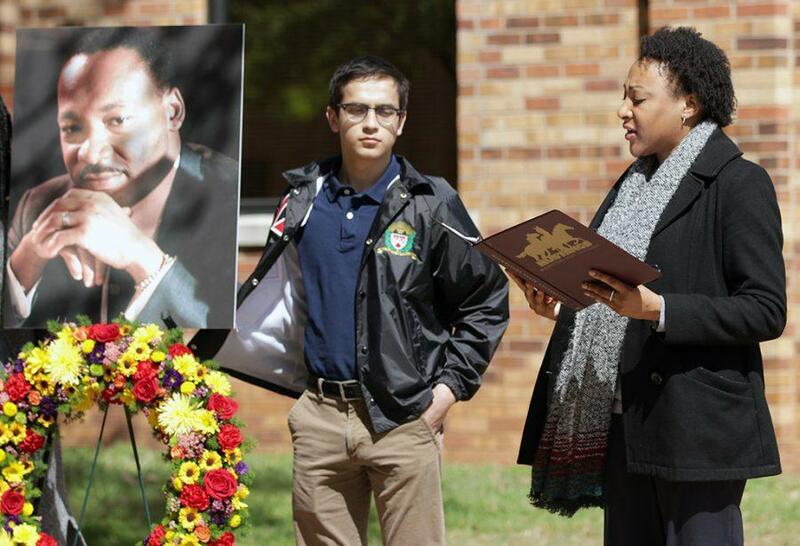 Students standing next to the Martin Luther King memorial wreath. Photo by Andrea Pedon. During the ceremony, Syreeta Greene, director of equity, inclusion and multicultural affairs gave a brief speech about MLK and his life achievements. Greene said his death however doesn’t overshadow his life. Today is an opportunity to ask ourselves, how can we make a difference. Greene said she believes that students need to better educate themselves on the teachings of MLK and his writings and speeches. Greene went on to say people should focus more on what MLK believed and what his legacy stands for. 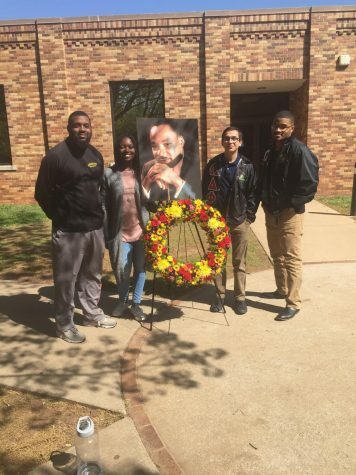 More than just recognizing MLK’s assassination, it’s more about the change that MLK was trying to make for people everywhere Trenton Lacy, mass communication senior said. MLK, along with a group of people across the world, were able to establish the Civil Rights Movement as a blueprint for how other groups, people, and countries go about making a change and advocate for what they believe in, Greene said.